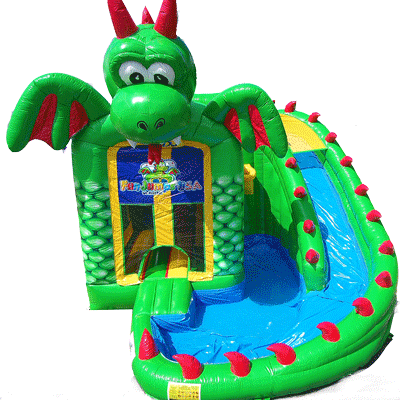 Have you met DJ the Dragon? DJ is our very own mascot at Funjumps. He is a big, green FunJumping machine! 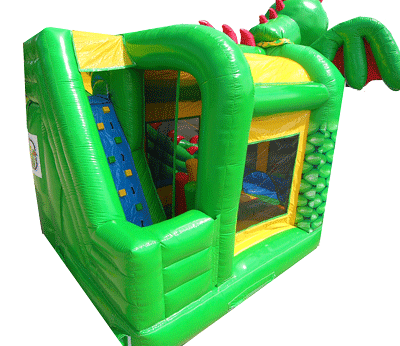 DJ is a combo unit with FunJump, fast curved slide and a large ball pit / landing area to plummet into. 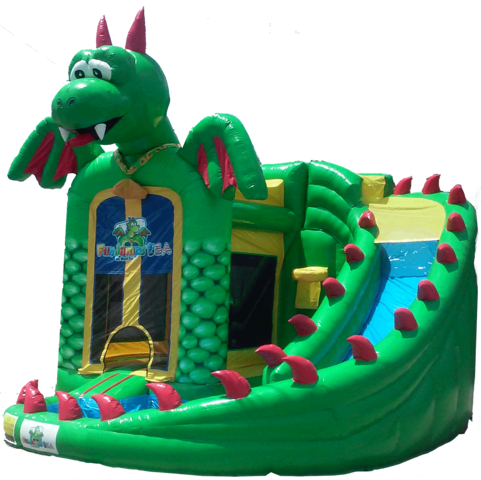 He even has a basketball goal interactive and a rock wall which brings you to the slide. To add even more fun to this jump add-on our DJ ballpit balls !